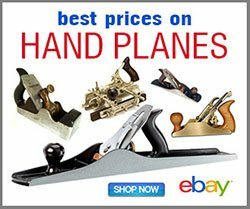 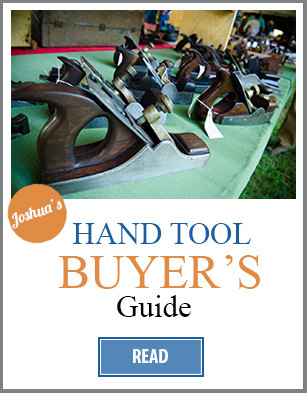 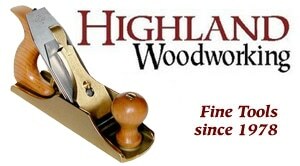 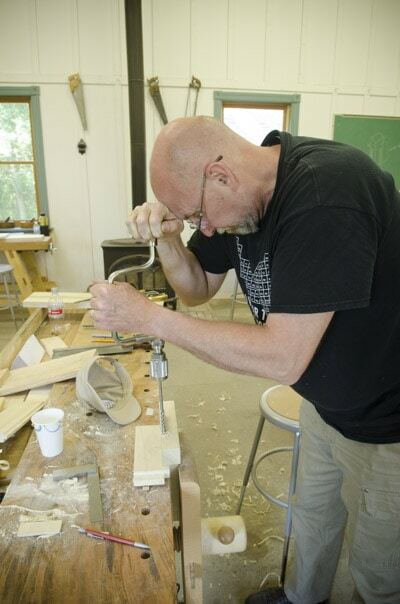 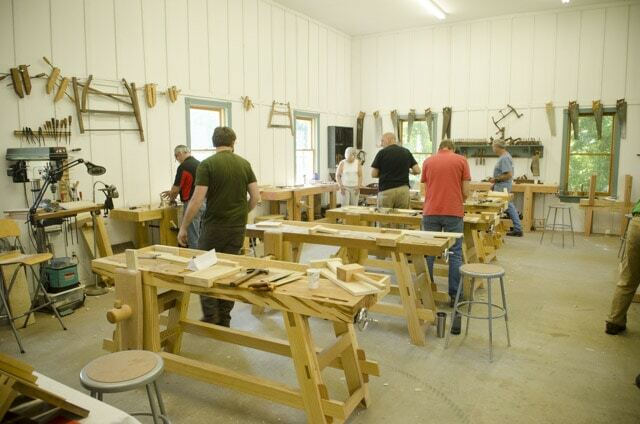 I recently taught a three day “Introduction to Hand Tool Woodworking” class here at my traditional woodworking school in Virginia, and want to share the experience to give you an idea of what the class is like. 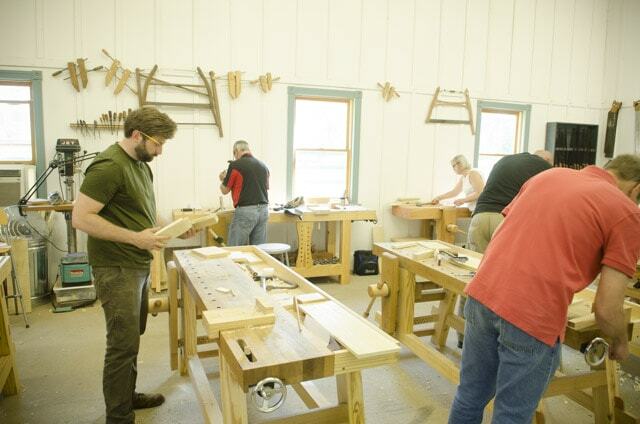 The first thing students do in this class is learn about & try out workbenches and all the different hand tools in the shop. 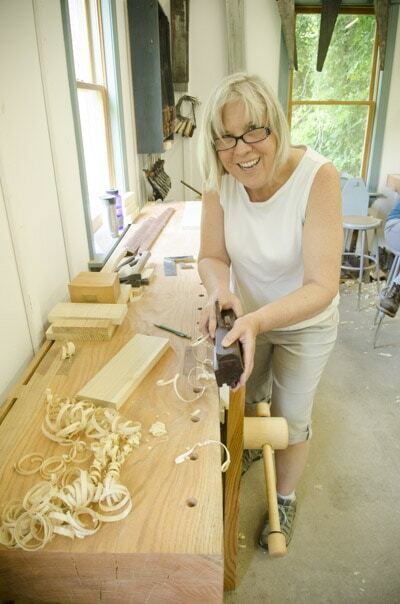 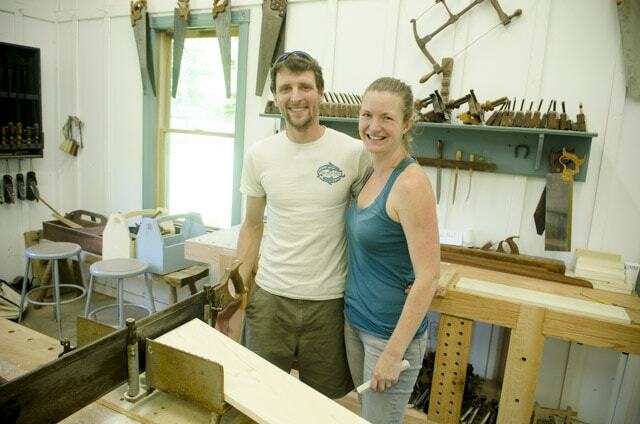 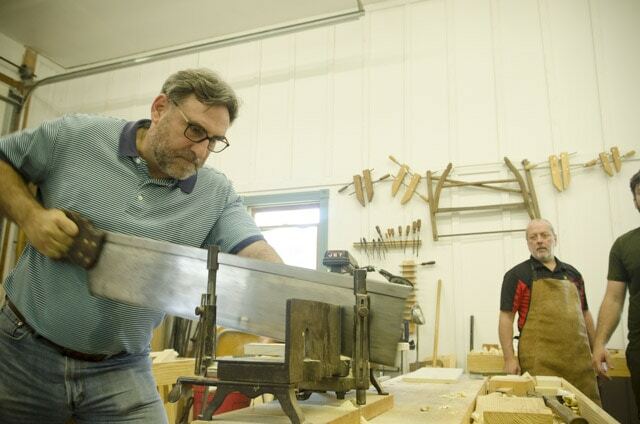 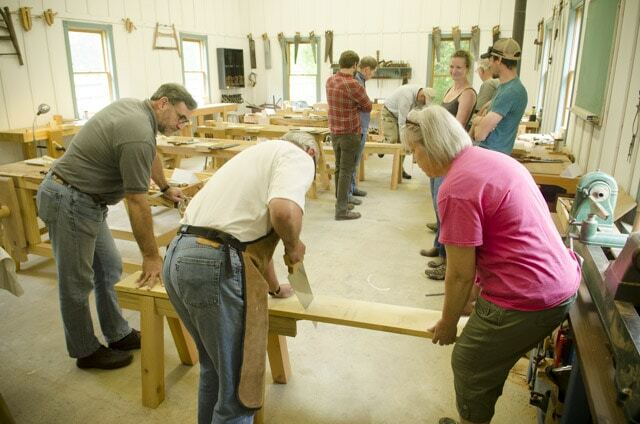 Then they jump in and use a folding rule to measure out a length of a tulip poplar board, use a try square to mark their cut line, and use a traditional crosscut saw to cut their board to length on these heavy-duty saw horses. 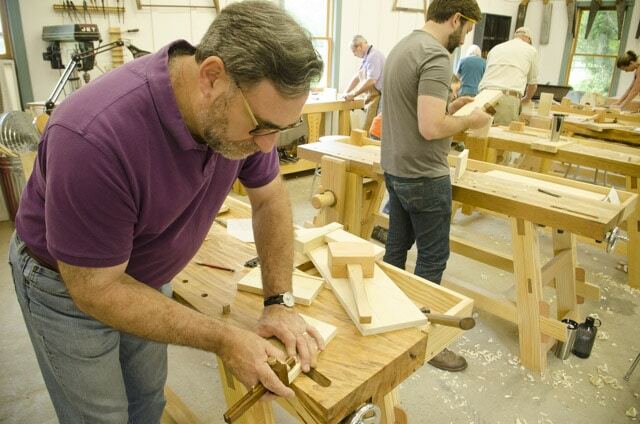 Then the students use the three bench planes (fore plane, try plane, and smoothing plane), along with marking gauges, winding sticks & a straight edge to dimension their lumber into a perfectly flat and square board ready for making furniture. 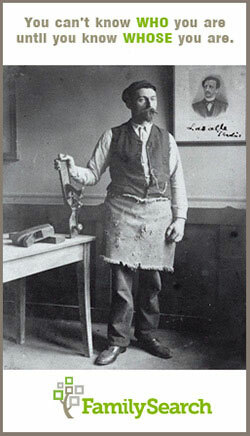 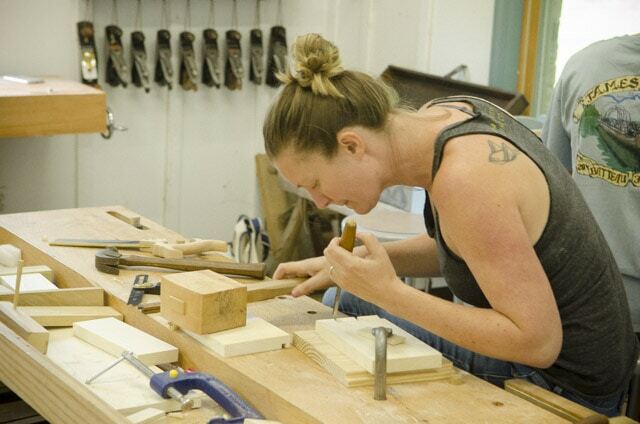 I’ve built, purchased, and rehabbed a variety of antique and new hand tools and workbenches so that students can decide which types of hand tools and workbenches they want in their own workshop. 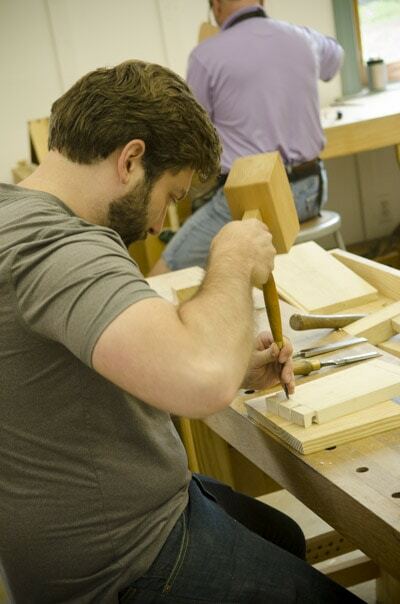 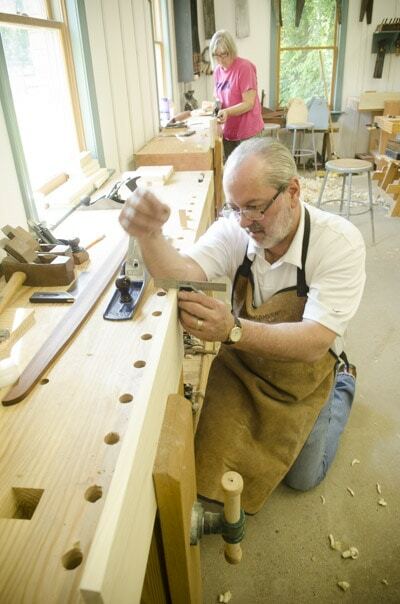 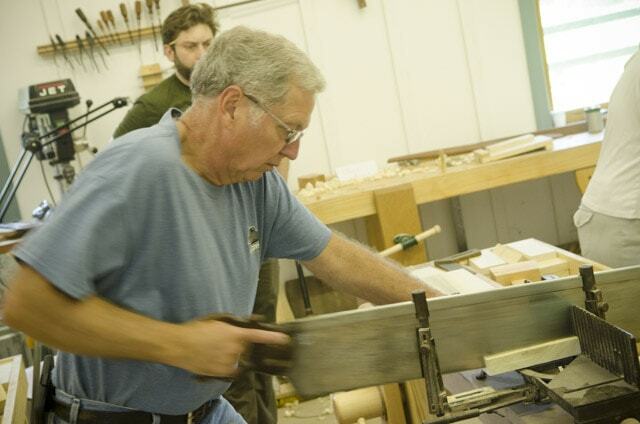 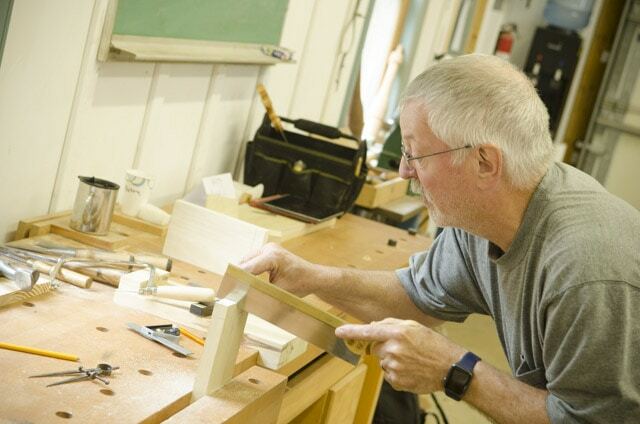 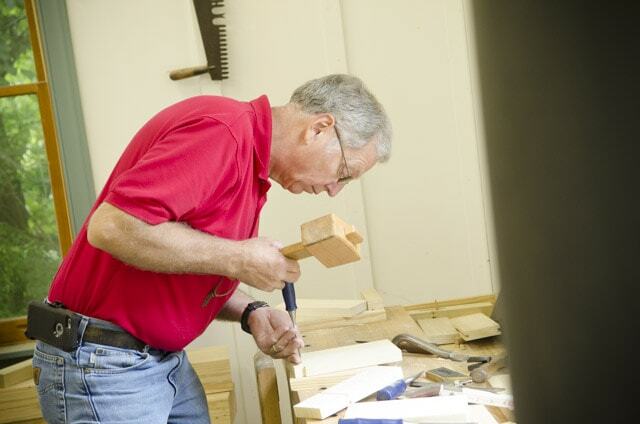 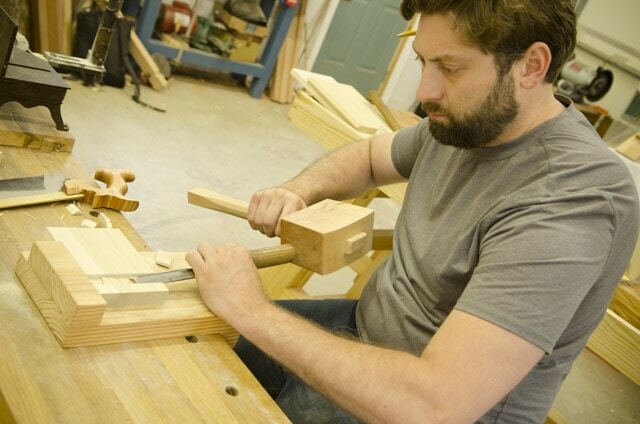 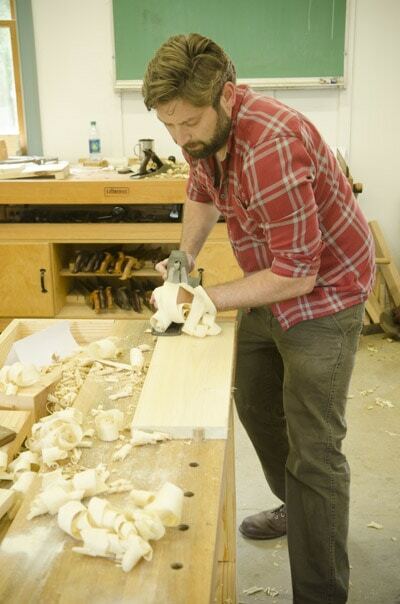 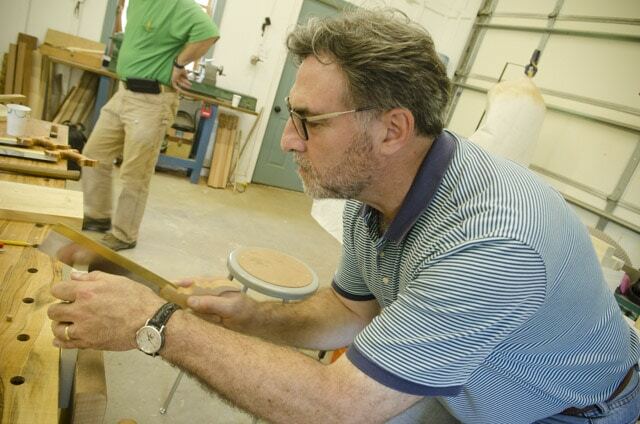 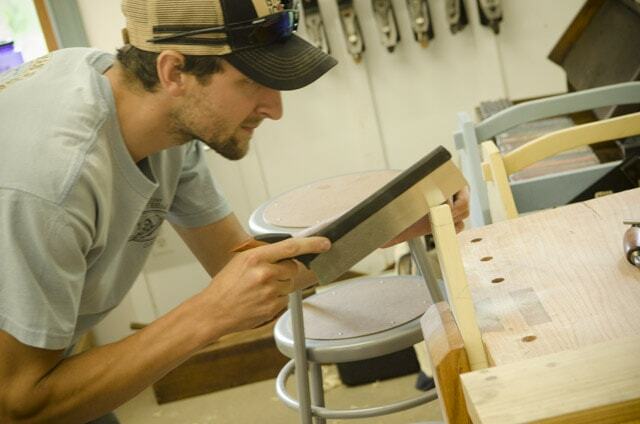 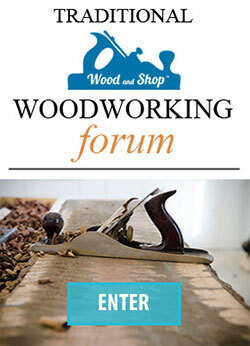 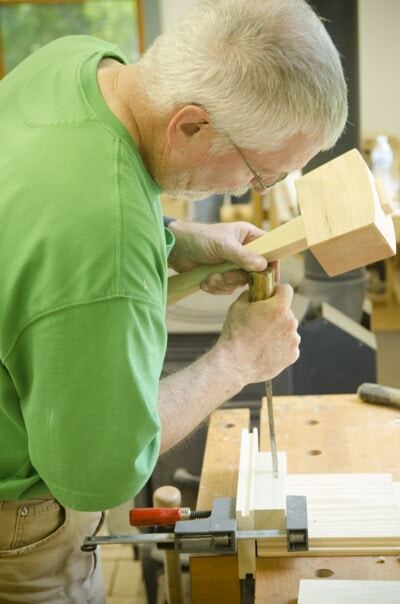 Students come from a variety of woodworking backgrounds: some who are novice woodworkers, some who are experienced woodworkers but want to improve their hand tool skills, and some who have never done any woodworking before. 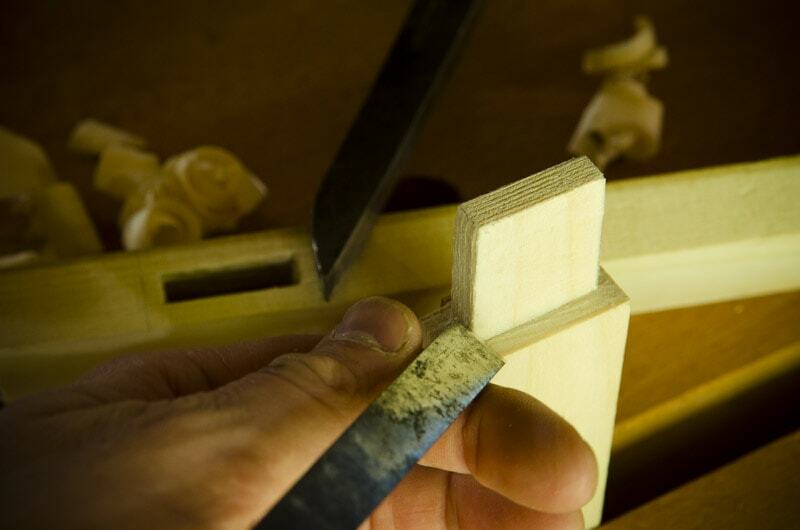 Students use try squares to gauge the squareness of the edges of the board as they joint with edges with a try plane. 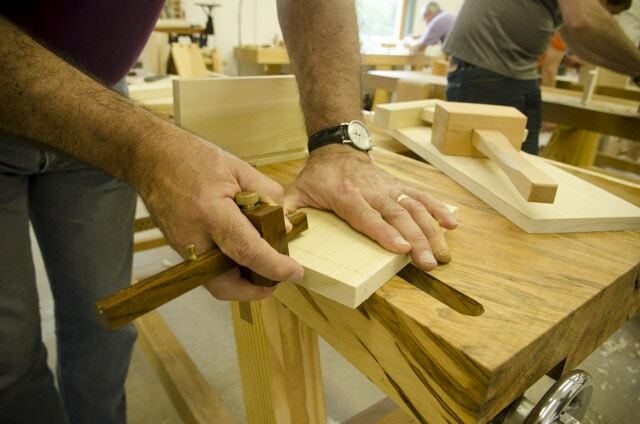 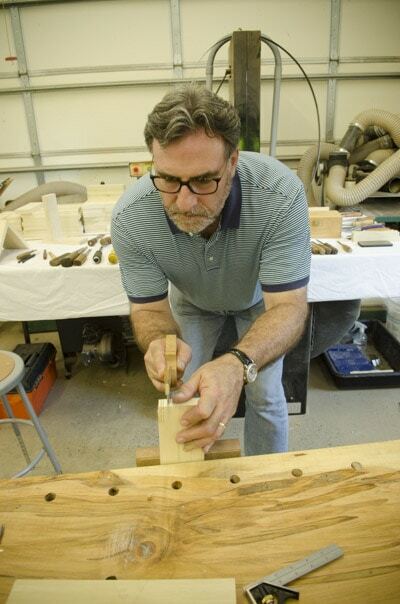 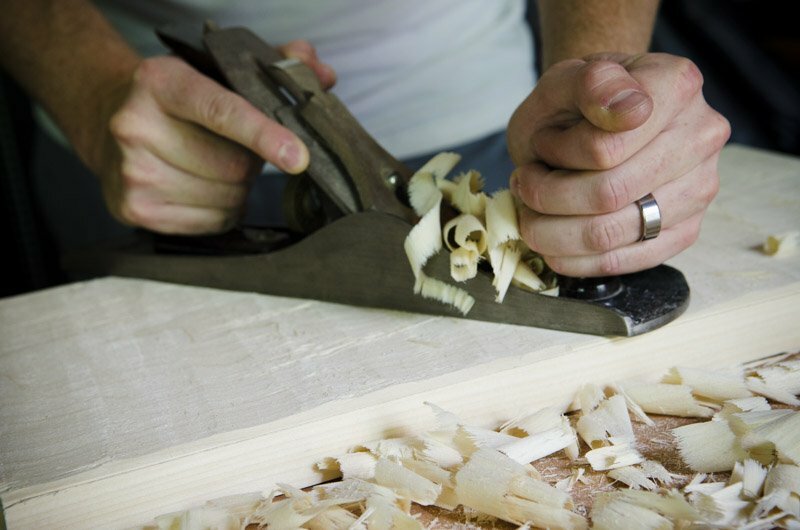 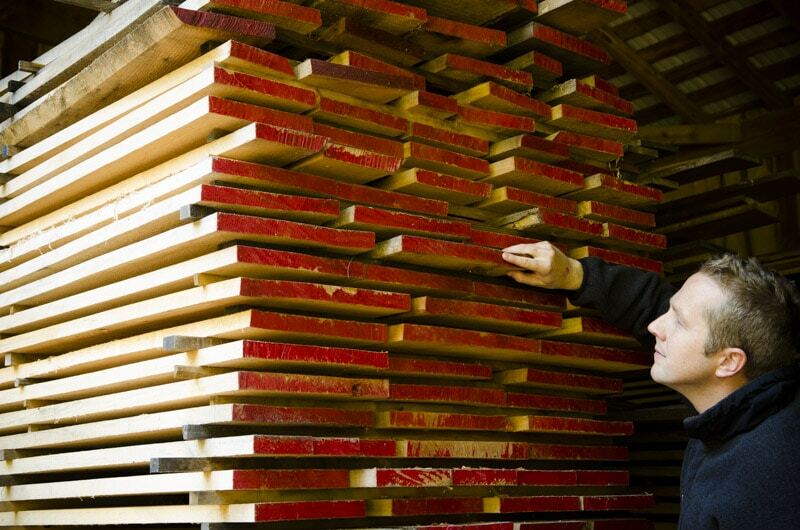 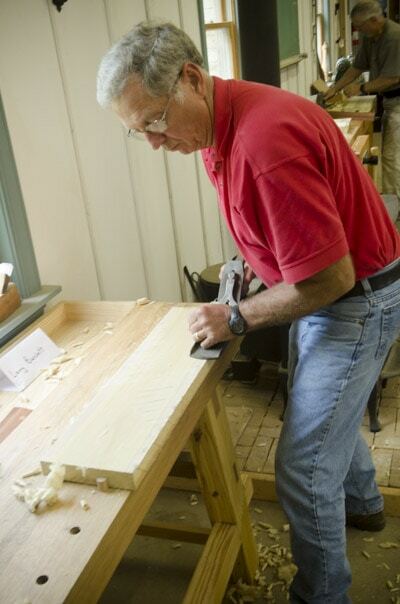 Squaring up a board is the most fundamental of traditional woodworking skills, and is a fantastic exercise for learning to use a large number of hand tools. 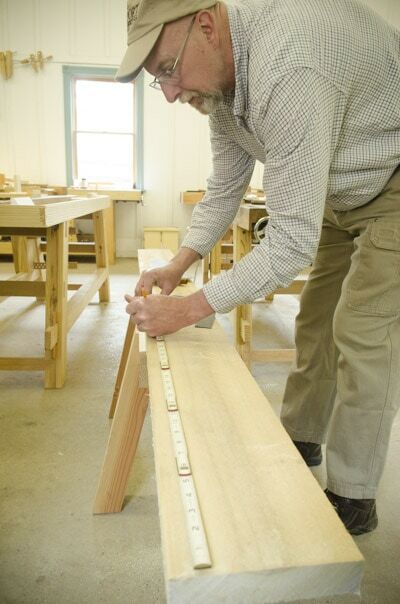 This portion of the class more-or-less follows the format of my previous tutorial on squaring up boards with hand tools ( you can read/watch it here). 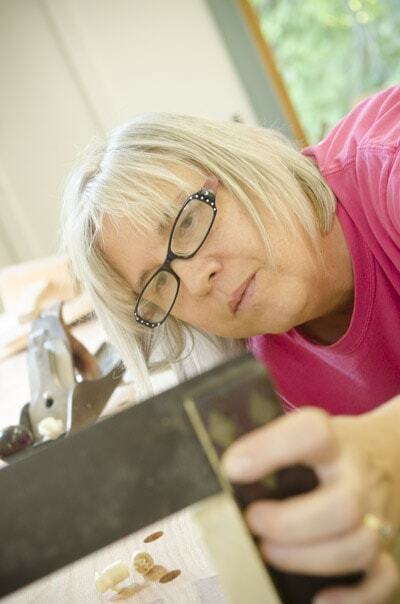 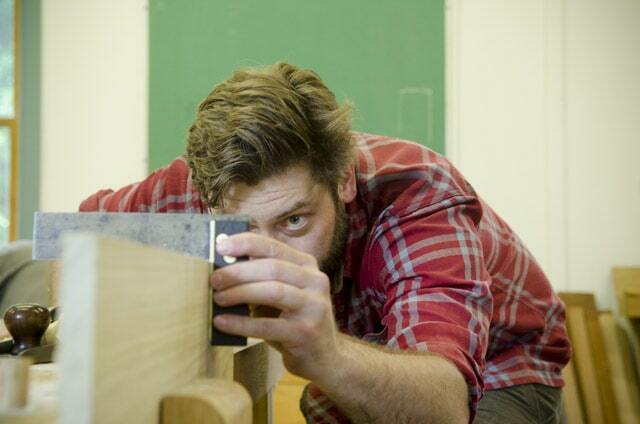 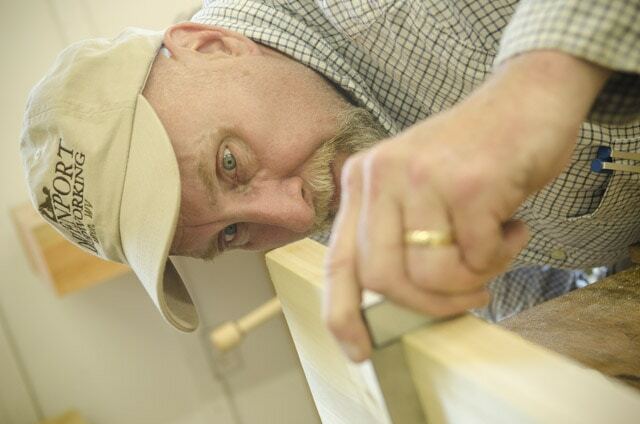 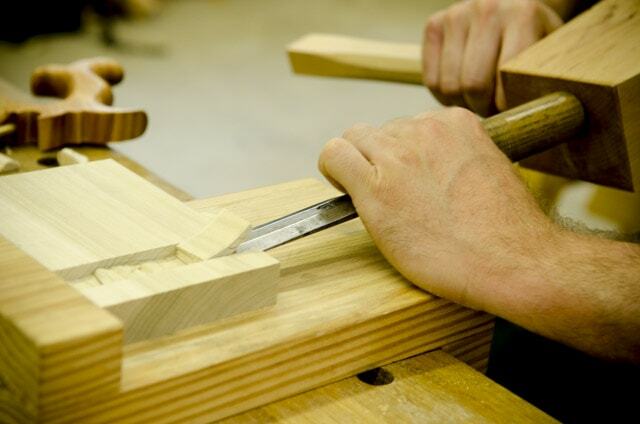 Cutting through dovetail joints with layout tools, back saws, coping saws, and chisels. 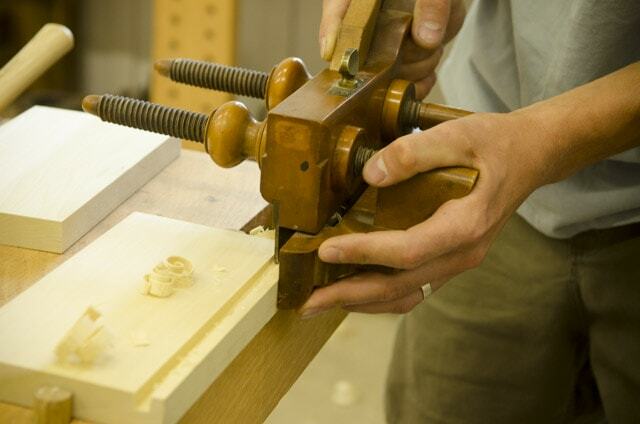 Making dado joints with a router plane, carcass saw, and chisels. 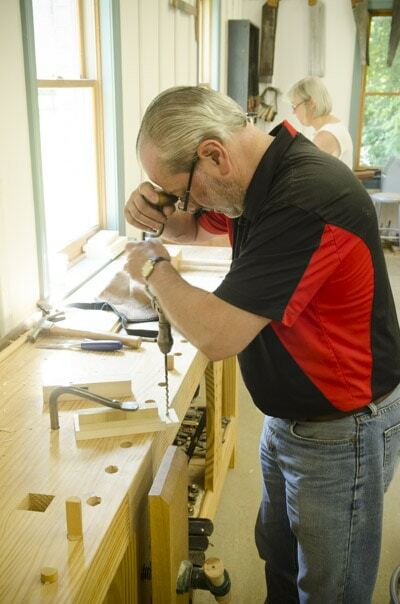 Before jumping into cutting woodworking joints, the students refine their hand saw skills by using dovetail saws to cut along straight lines on a board. 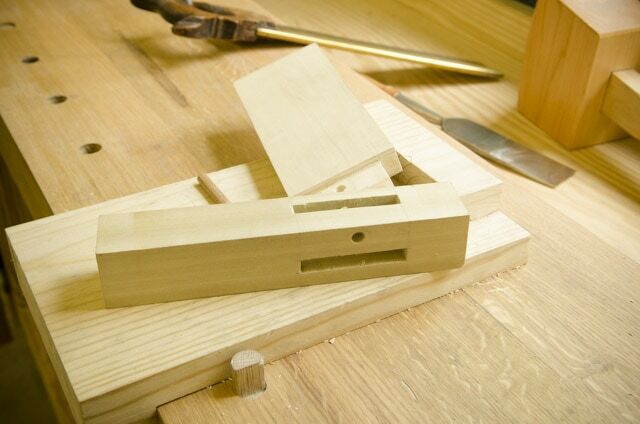 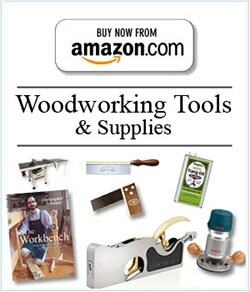 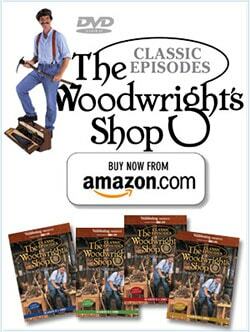 This comes in handy later on, especially for cutting tenons and dovetail joints. 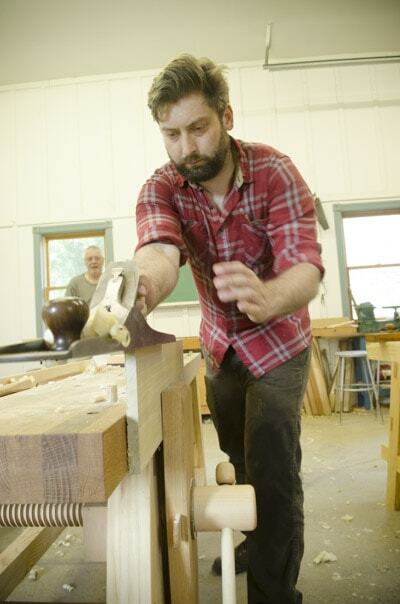 There are still spots left in next week’s class, and the class in October, so sign up soon! 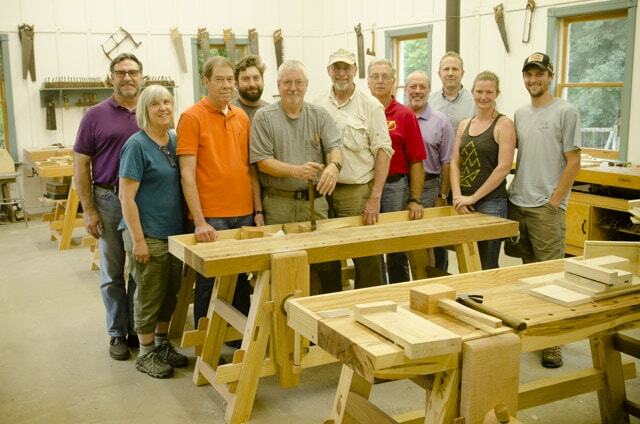 This was a really fun few days, and I had a blast getting to know these amazing people, who come from a variety of backgrounds. 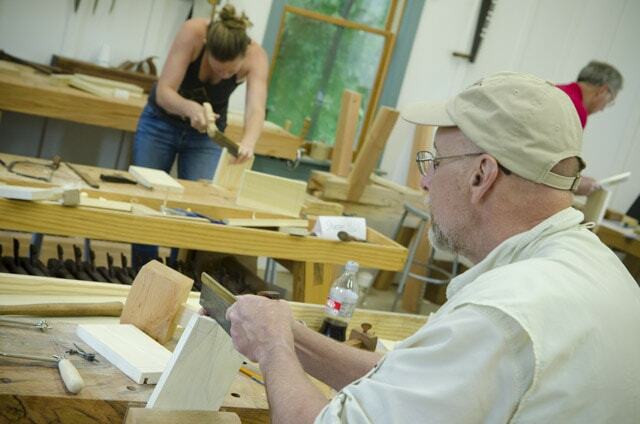 Below is the 2018 calendar of classes if you want to take this, or any other class at the Wood And Shop Traditional Woodworking School. 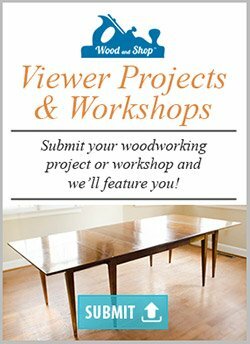 Please leave comments and questions below!